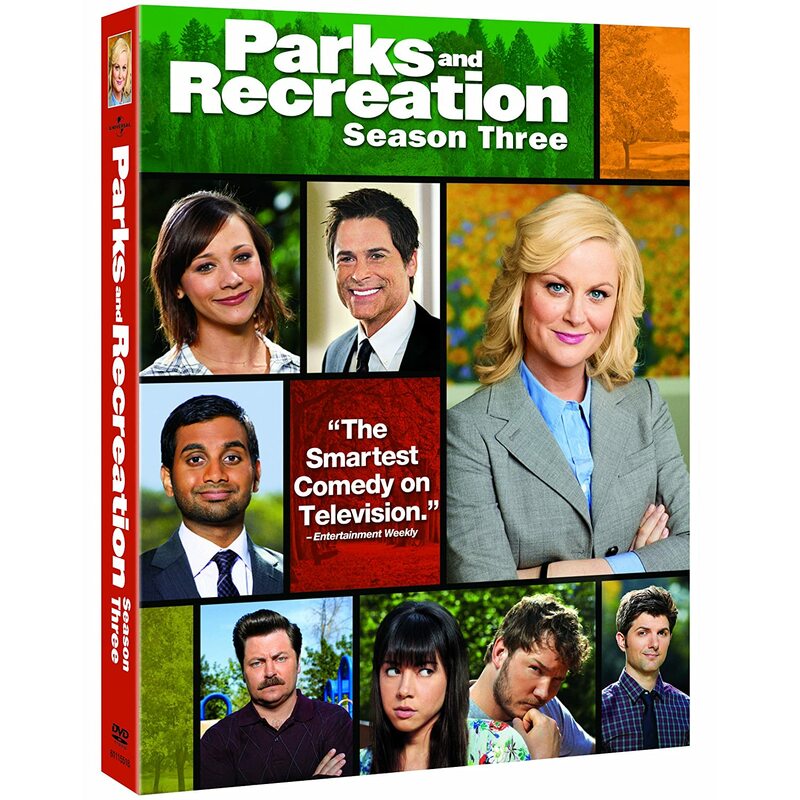 Quick Take: Parks and Recreation, "Campaign Ad"
Review: Parks and Recreation, "Campaign Ad"
(S0412) Full disclosure: the phrase “man crush” was invented to refer to my feelings toward Paul Rudd. From his days as a pretty poorly cast protagonist in a really bad Halloween sequel to an associate of The State comedy troupe to his current reign as HOLLYWOOD LEADING MAN, I’ve been a big, big fan. And look, I’m a heterosexual man, but I’m comfortable enough with my sexuality to admit he’s a handsome gent. I wouldn’t, like, do anything sexual with him or anything, but if Paul Rudd and I went to a movie together and we both reached for the popcorn at the same time and our hands touched, I’d probably just go with it. So when I heard Rudd, one of my favorite actors, would be guest-starring on Parks and Recreation, one of my favorite comedies, I was obviously excited. And as Leslie’s main opponent in the race for City Council, Bobby Newport, Rudd did not disappoint. While the conditions of Rudd’s arrival were strange to me, the results were pretty spectacular. Bobby Newport is the dull-headed heir to the Sweetum’s candy fortune (he and Sue Ellen Mischke should totally hook up). He has jumped into the election not to improve Pawnee, but to get his dad off his back. And it’s working. He’s up 70 points on Leslie after just entering the race. I’m trying to confirm the hierarchy of the Newport family. So far we’ve met Nick Newport, Sr. and Nick Newport, Jr. and now Bobby. Is Bobby Nick Sr.’s son and Nick Jr.’s brother? Or is his father Nick Sr.’s brother and Nick Sr. is really Bobby’s uncle? This is really confusing but important information. Get on that, internet. As Leslie’s new campaign manager, Ben thinks the best way to improve Leslie’s numbers is to go on the offensive against Newport, with a Colbert SuperPAC-style attack ad. Leslie doesn’t like attack ads, though, and wants to make an ad showcasing all of the positive changes she could make to Pawnee. To compete, they decide to create two different dummy commercials and then vote on the best. Leslie’s is terrible (she doesn’t even mention that she’s running for anything) and Ben’s is pretty good, albeit harsh towards Newport. Ben wins everyone’s vote but Leslie still vetoes the decision and they end up being too late to run either ad. Ben and Leslie eventually compromise and release an ad on the internet that features clips of the great ideas Leslie had when dreaming of being a politician as a ten-year-old girl intercut with Bobby Newport’s less than stellar (or even tangent) ideas. It’s a great campaign commercial (although the revelation that Leslie made a pretend ad as a ten-year-old came kind of out of left field) and gets Newport’s attention. He arranges a meeting with Leslie and Ben and asks them to just quit because he wants to win really, really bad. Leslie and Ben quickly realize that Newport is a moron and they might actually have a chance to win if they get him to face off in a debate. (Prediction: a future episode will revolve around a debate). The B and C stories didn’t work as well as the main plot, but they had their moments. While April and Andy’s healthcare overload was a little too predictable, I admit to laughing very hard at the reveal that Andy broke his thumb on the way to visiting the doctor for a mild concussion. And while Nick Offerman and ( NFL Inside Scoop Reporter) Rob Lowe played well of each other, the highlight, life it often is, involved making fun of Kyle. The really interesting thing about the Ron/Chris storyline was the fact that Chris is considering Ron to be his new assistant city manager. If Ron were to be chosen and accept the position, what does that mean for the Parks Department? Does that signify that Leslie will lose the election and end up running the department? Or could she reach city council, Ron gets promoted and then someone new runs Parks and Rec? Could we see a Tom Haverford reign of terror? Or could we get a brand new character brought in to run the show? Speaking of man-crushes, I wonder what Sam Rockwell is up to these days? Yeah, I'm a fan of the Rudd as well. Also The State... Barry and Levon (and your pudding), where are you when we need you the most?